It’s been a WILD month at our art tables. No, really…WILD is July’s theme! 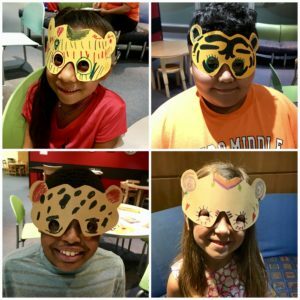 What better way to celebrate our wild side, than with these simple animal-inspired masks? Trace and cut around the mask template. Use a hole punch or scissors to cut out the eye holes. 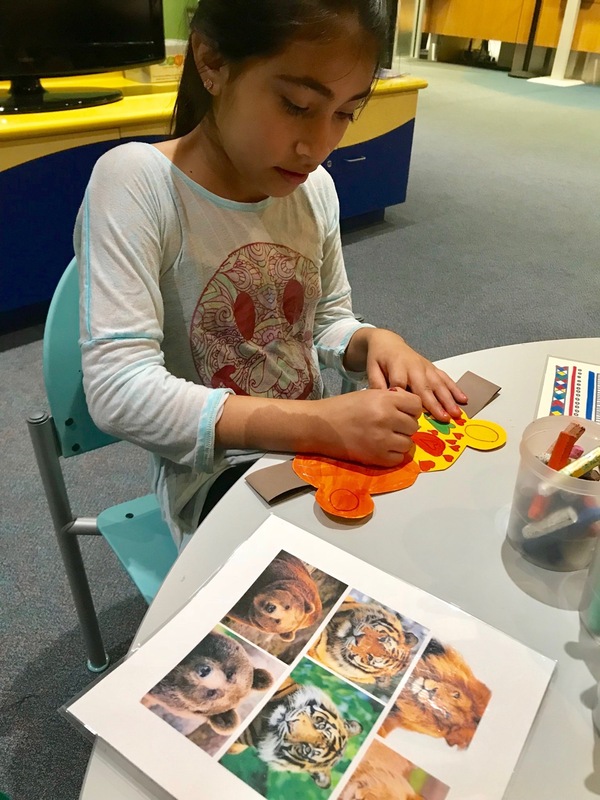 Choose an animal to inspire your mask design: could be a lion, tiger, or bear, monkey, t-rex, or an animal entirely of your imagination. 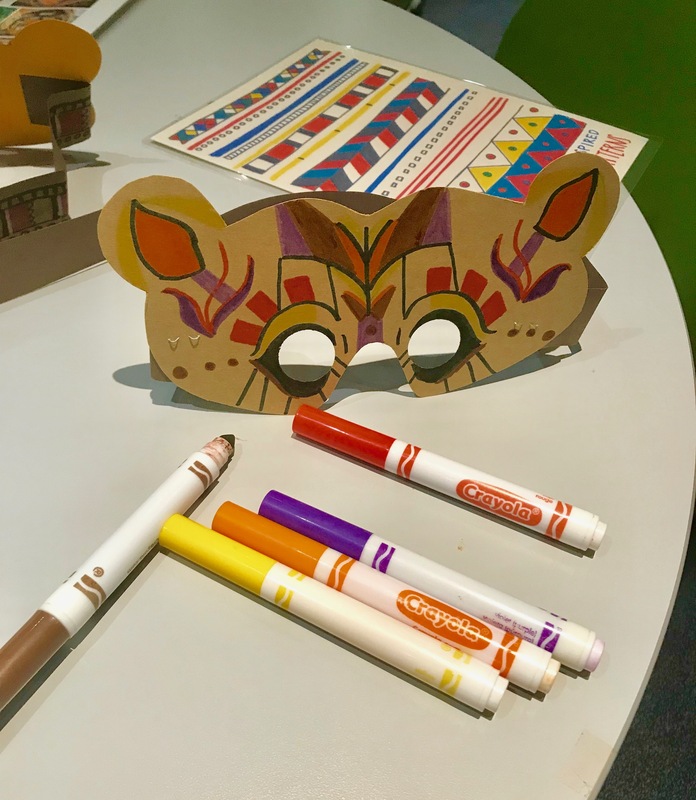 Decorate your mask as you wish using markers or oil pastels. If you want to add a mane, accordion fold paper strips and glue one end of each strip to the mask. Use tacky glue to add embellishments to make your mask unique. 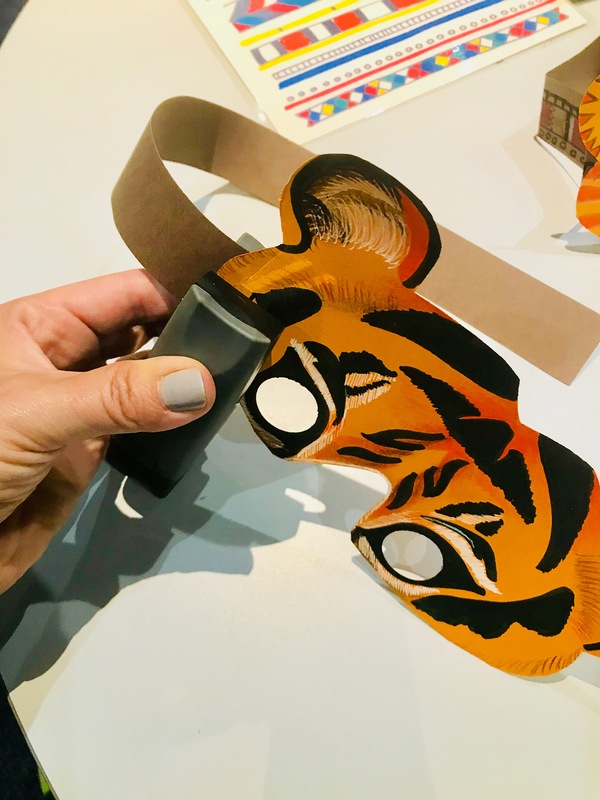 Add a paper strip band so the mask can be worn. Staple one end to your mask, to the side of the eye hole. Hold your mask up to your face. Measure where to staple the other end of the paper strip, so it will fit securely around the child’s head. Decorate the band if desired. 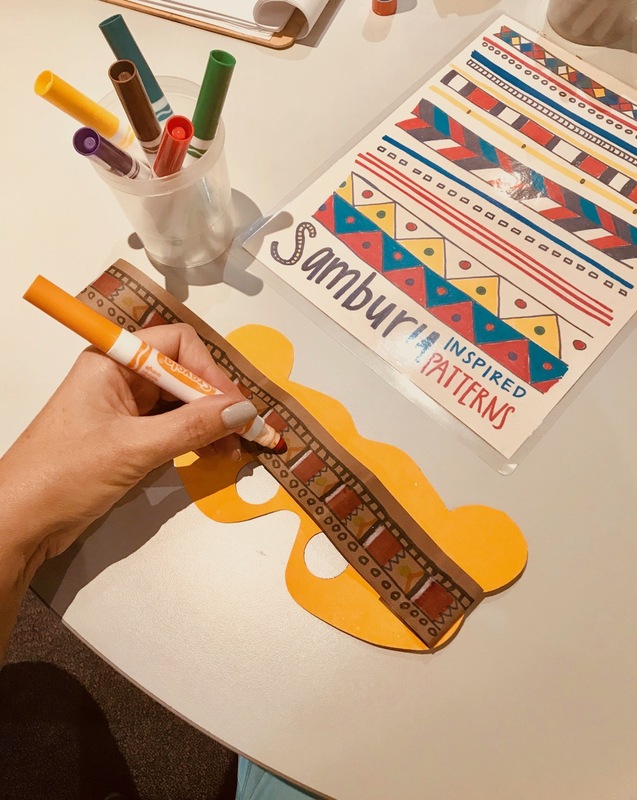 Use patterns and colors to represent you! Do you want your mask to be strong and brave? Kind and welcoming? Scary? Consider using colors and patterns to evoke these feelings. Do you want to change the Lion mane to represent YOUR hairstyle? Have fun thinking about these elements! Put your mask on, and let it help YOU be what you want to be!